Please be aware that your exact pick up time can vary from the time you select by 5-15 mins. Please call our friendly reservations team on 07 4099 1191 to confirm the exact time you will be collected. 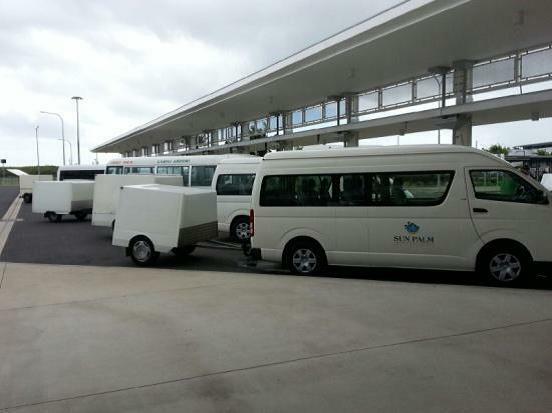 Sun Palm Transport is the ONLY Cairns Airport Transfers Service Operator to have welcome desks, at both the Domestic and International Arrival Terminals.